Monday, 12th of August, 2013. Aissatou, a 16 year old teenager, is assaulted by two men because of her veil, because she is Muslim. Friday, 23rd of August, 2013. Aissatou is hospitalized after an overdose of painkillers given by her doctor following the assault. Monday, 26th of August, 2013. Aissatou throws herself from the 4th floor’s window of a building in Trappes. Read: Suicide attempt in Trappes: Is the police responsible? On Monday, before that act of despair, newspaper Liberation reports that Aissatou texted two of her friends. Choosing to take your life when you’re 16 is all but voluntary. 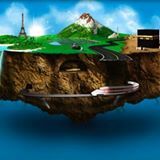 Attempting on your life when you’re 16 and know that suicide is not allowed in Islam proves the psychological pressure, the huge despair, the deep distress. As C.P. wrote here, the “death vertigo of the depressed believer” pushed a child who just wanted to be a woman. Aissatou threw herself from the window. She is today in a serious condition. She already was, psychologically. Now she is in her flesh. This dramatic event shouldn’t become a man-bites-dog story. Staying silent would mean burying Aissatou even deeper. So here is what we suggest; if you feel like concretely supporting, sending love and showing solidarity to that young girl and her family, write her a small and heartwarming message on a piece of paper. 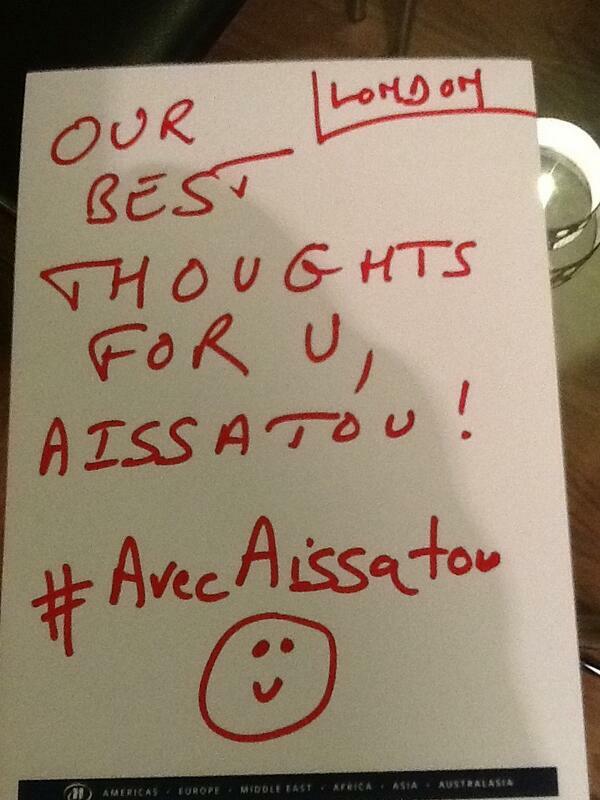 Then take a picture of your message and post it on Twitter under the hashtag #AvecAissatou [With Aissatou, in French]. She’ll be able to read your words, see your pictures and hopefully feel less isolated. Try to imagine her astonishment when after getting out of the operating room her family will show her all those proofs of solidarity from all over the world. Write anything you like – even if small – just write. Help us ease up her burden. Following are two suggestions, one in French and the second in English. et aussi le fait qu’à la fin on parle de deux suggestions : l’une en français et l’autre en anglais alors qu’on ne présente qu’un message en anglais. Voili voilà..
Congrats Al Kanz for your first english written post ! Really looking forward to read again new interesting posts. Ini adalah ujian untuk umat Islam. asalam alaikum my dear sister may Allah (swt) ease your burden and make your healing a quick and positive one. My prayers are with you and your family at this difficult time in your young life. These are difficult times for all of us. By saying ‘I understand your hardship’ wouldn’t really mean I do, I can only imagine how devastating it must have been. :( All I could say is, you are not alone. Please don’t lose hope sis. May this horrible event only occupy a ‘distant nightmare’ memory in your life. Hope you are well now. :) Take care. Thank you for raising awareness about this incident and promoting the idea. Beautifully written article. 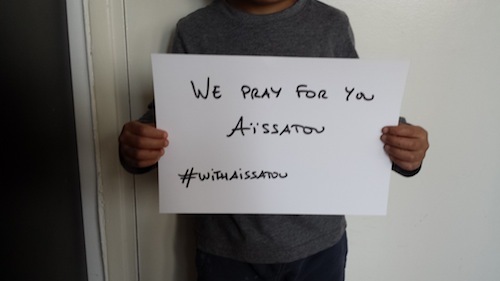 May Allah swt protect Aissatou and help her get through this difficult time. Asma – Sydney. Australia. You are truly a strong and brave young girl. Keep your faith and His bless will always be with you. Don’t lose hope.. I hope you will get better soon. Please don’t give up, Aissatou.. May Allah protect you..